The Royston area are served by several crematoria, all of which offer similar facilities in peaceful, pleasant surroundings. Traditionally, the crematorium at Cambridge is the most frequently used by families in Royston, however with population movements the crematoria at Stevenage or Luton may be more appropriate to your families needs. You may feel that you would wish to visit the crematoria to see the facilities available before making a final decision, this is usually possible, an appointment with a member of staff is normally required. We offer a nationwide service, so any arrangements can be made for anywhere in the U.K. Following a cremation, there are a number of options for the final resting place for the cremated remains. You may decide to have the ashes scattered within the crematorium gardens of remembrance, the site will be recorded in the crematorium records and it is possible at some crematoria to have a permanent memorial somewhere at the crematorium, details are available from the crematorium office. Some families decide they would like to keep the ashes at home, we offer a wide selection or suitable urns, caskets, etc. It is also now possible to have some of the ashes made into items of jewellery, incorporated into glassware or placed within specially made ornaments, details and literature are available at our office. You may decide that you would like the ashes to be interred within a family grave or in a new ashes burial plot which are now available in most cemeteries and churchyards. We are happy to make arrangements for the burial of ashes. We would be pleased to provide advice on any of these options available to you. It is the right of every person to be buried in their parish, if that is their wish. Royston has a cemetery which is owned and run by the district council, all residents of North Herts have the right to purchase a grave there and this is the only burial ground in Royston. Most villages have their own facilities for burial, either within a Churchyard or parish cemetery. 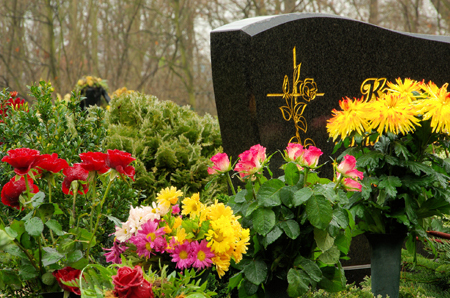 Non-residents can apply to be buried within any churchyard or cemetery, although usually extra charges are involved. Decisions are normally made quickly by the relevant burial authority. When the funeral has taken place it can be some months, depending on the condition of the ground, before the grave will be ready to take the original headstone or a new one. We are able to offer a wide selection of coffins in many different styles to suit all tastes, our range includes traditional styles as well as bamboo, cardboard, willow, coloured or painted, Italian style and American Caskets. For more details about these and their costs, please contact our office.